The research of this thesis aims to explore why and for what reasons installation has been employed in contemporary worship. 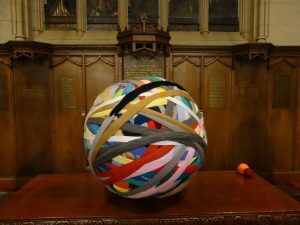 It will ask, can worship be enhanced through the utilisation of installation art, and whether installation art in a worship context can offer innovative interpretations of theological themes? These questions will be explored in the areas of alternative worship, the work of Wild Goose and more recent installation work in Churches and Cathedrals in Scotland and England. Ph.D. undertaken in the Institute of Theology Imagination and the Arts (ITIA), St. Mary’s College. The University of St. Andrews. Thesis title: AESTHETICS AND RELIGION: THE SCOTO-CATHOLIC MOVEMENT AND STAINED GLASS. ITIA. : Institute of Theology Imagination and the Arts, St. Mary’s College. St. Andrews University. 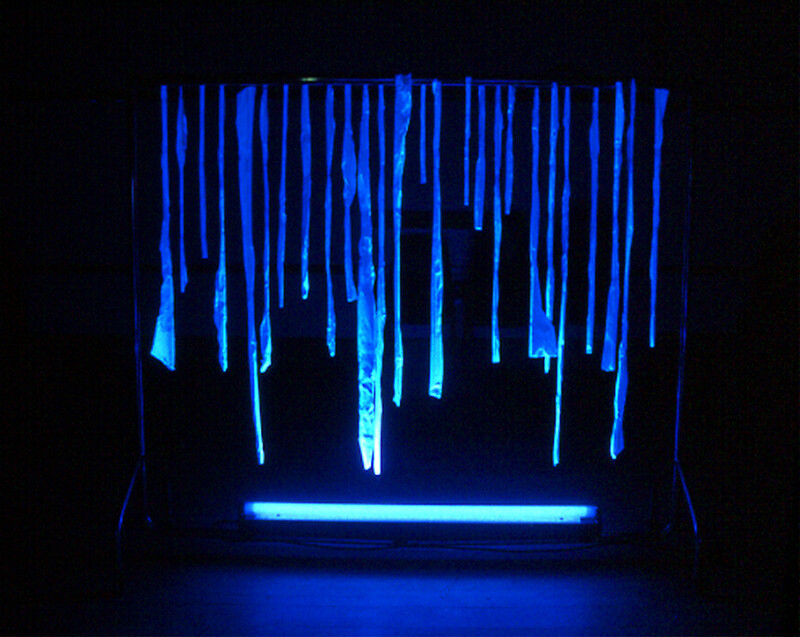 Public Lecture: INSTALLATION ART AND LITURGY IN TWO SCOTTISH CHURCHES. As part of the DThM (Durham’s Professional Doctorate in theology) Residential Week: St John’s College, Durham, 10th January 2018. Paper: INSTALLATION ART AND CHRISTIAN LITURGY IN THE WEST OF SCOTLAND Conference on Ecclesiology and Ethnography. St John’s College, Durham, 15-17 September 2015. Paper: DAUGHTERS AT THE LAST SUPPER: THREE FEMINIST INTERPRETATIONS. ‘Images, Icons and Idols,’ Society for the Study of Theology: PG. University of Manchester, 9-10 January 2015. Paper: THE EVENT OF THE THREAD: A PLAYGROUND FOR THE SOUL. An interdisciplinary conference. ‘Textures’, Arts & Humanities, University of St Andrews, 5th April 2014.